On the occasion of R. C. M. Elementary School’s “ANNAI TERESA ANBALAYAM” inauguration and 37th annual day celebration of R. C. M. Group of Schools, Chennai, 1332 students of R.C.M Hr. Sec. School tossed coins individually on February 18, 2012. The event was organized by R.C.M. 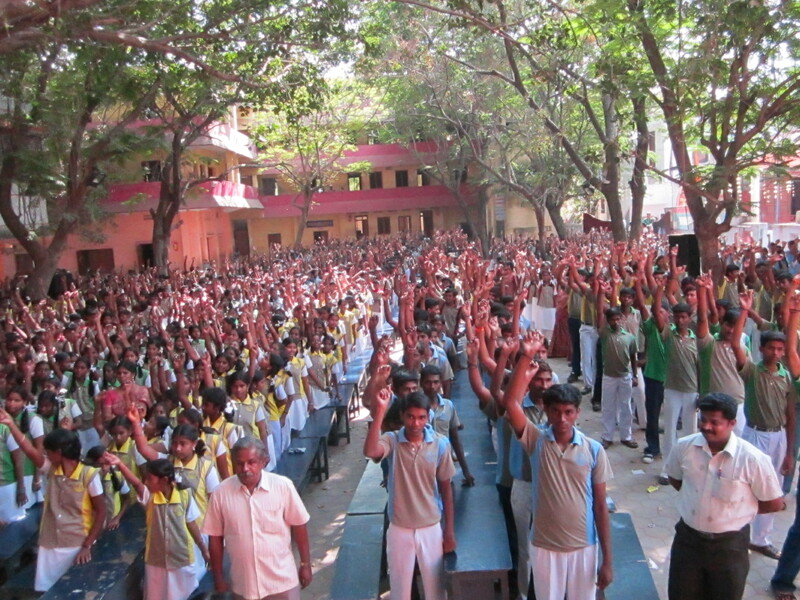 Group of School, in association with Lovely Digital, in their school premises in Avadi, Chennai. The event was sponsored by Abhirami Silks, Avadi, Chennai. Comments for MOST PEOPLE TOSSING COINS SIMULTANEOUSLY are now closed.